Fantastic day at the Cross-Out Cancer Ski Loppet at Kivi Park today! Thank you to Adventure365, Kivi Park and KICX 91.7 for all your support! A very big thank you to all of our participants, volunteers and supporters! So much Fun this morning @kivipark for the @ncfsudbury Cross Out Cancer Ski Loppet. Great to see so many people out, and especially so many people trying xc skiing for the first time! Congratulations to everyone that participated and for a Fantastic Event! This is the second of five MOVE - The Kivi Park Fitness Series events! Sofie was an incredible young person who displayed all the attributes necessary of a true champion. During her short five year career she showed the promise of becoming one of Canada’s top cross-country skiers. She passed away June 3, 2001, at the age of 17 while training for the upcoming season. 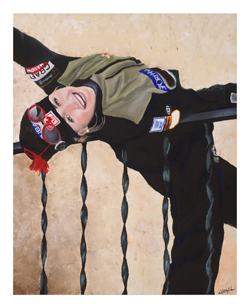 Sofie was an inspiration to all the young skiers in Sudbury, Ontario and Canada. She started racing with Laurentian Nordic Ski Club at the age of 12 under the coaching direction of Dave Battison. During the 1995/96 season she earned her first of 13 National Championship medals, a silver in the juvenile category against skiers three years her senior. In 2000 Sofie was selected to represent Canada at the World Junior Championships in Poland, earning a 28th in the 15 km at the age of 16. She was later named to the National Junior Team. “Sofie was a dedicated, elite athlete committed to maximizing her potential. She always gave 100%, but it was her delightful sense of fun and “joie de vivre” which made such an incredible impact on anyone with whom she came in contact” commented Dave Battison, her first coach. Donations to honour Sofie Manarin’s pursuit for excellence in cross country skiing should be made out to The Sudbury Community Foundation and mailed to that organization at 300-96 Larch Street, Sudbury Ontario, P3E 1C1 c/o Sofie Manarin Memorial Bursary Fund. All donations need to be clearly marked to the Sofie Manarin Memorial Bursary Fund. Tax Receipts will be issued (so please include your name and mailing address where the receipt should be mailed). Donations to the fund will be directed to support the developement of Juvenile cross-country skiers. 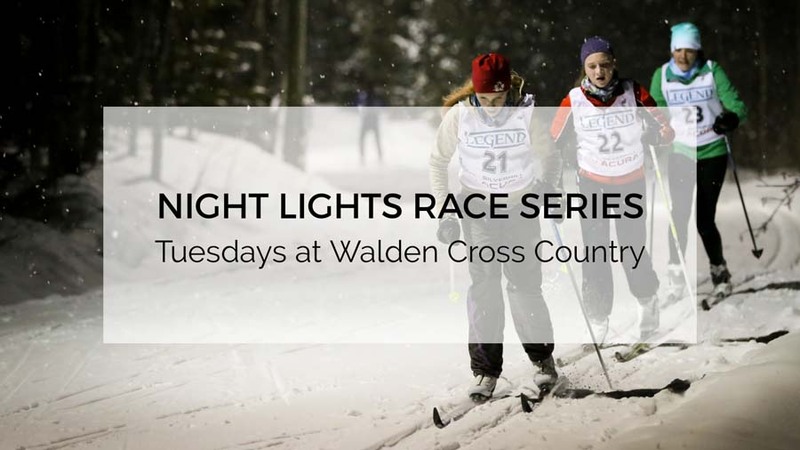 Established in 2001 in memory of Sofie Manarin, a member of the Canadian National Junior Nordic team, the award will include a bursary to assist young skiers in their pursuit of the sport and a pair of racing skis from Madshus, one of Sofie’s sponsors. As we get ready to kick off the 2019 Sudbury Fitness Challenge I just want to let everyone know that our little experiment last year with the best 6 out of 7 events towards your points totals didn't have the impact that we were hoping for so we're going back to best 7 of 7. This means that there will not be any throw away events in 2019. All your points from all the events count towards your total. So with that being said, whether you're hoping to clinch the title in your age group or gunning for the overall Mr/Ms Fit Sudbury title, you can't afford to miss any events. Registration is now up for event number 1, so wax up those classic skis and get yourself out to the Sofie Manarin Loppet next weekend!! 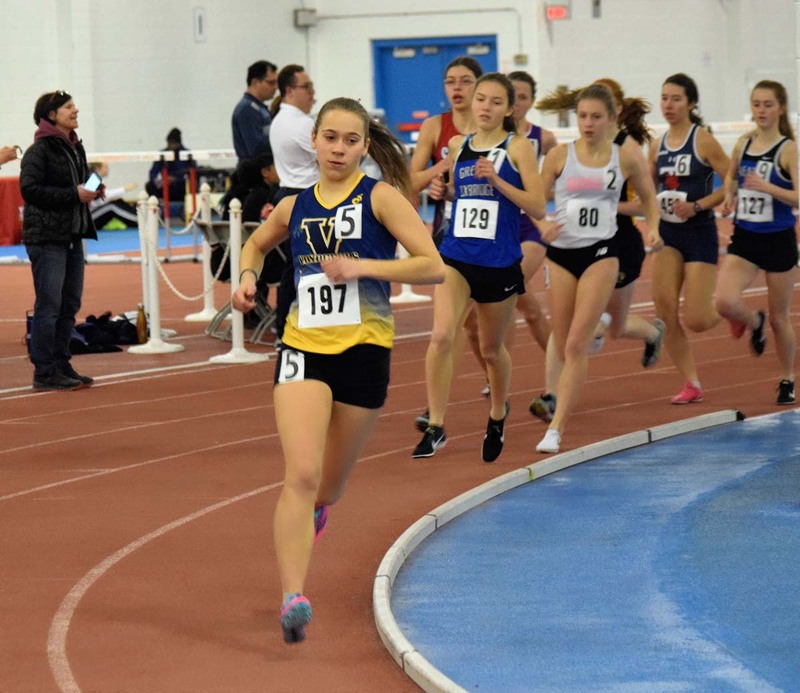 The Laurentian track team competed at the York Open Indoor Track Meet this weekend, returning with two medals, three OUA qualifying standards, and six personal-best performances. The medals came from the men’s 4 x 800m relay team, who placed first in their event, and Megan Crocker who won a silver medal in the 1500m. 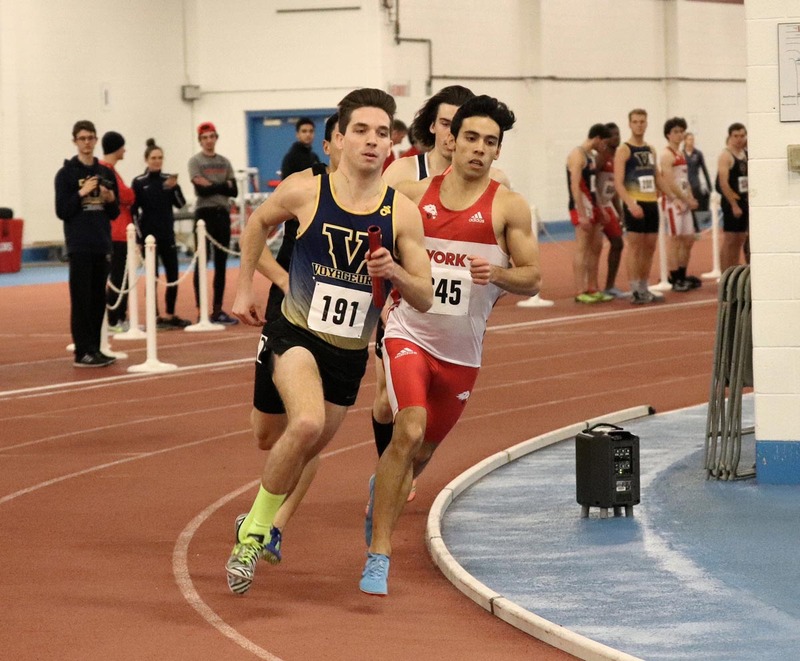 The meet included large fields from 11 universities, including Waterloo, Toronto, Lakehead, McMaster, Guelph, Ryerson, RMC, Brock, Western, York and Laurentian. Over a dozen track clubs were also involved. 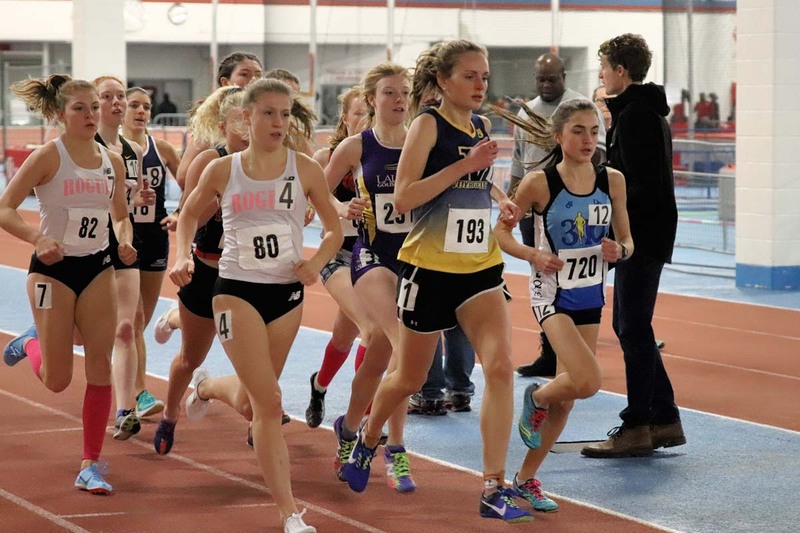 #3: Pascale_3k_sm - Pascale Gendron (#197) leads her section in the 3000m.